2016 Decimal Coins There are 120 products. 2016 WMF – Berlin 2016 - Fifty Years of Decimal Currency 6 Coin Uncirculated Set. The Royal Australian Mint has released this 2016 uncirculated coin set as Australia marks the 50th Anniversary of decimal currency. 2016 50c The Cubs – Tiger Cubs 1/2oz Silver Proof Coin. 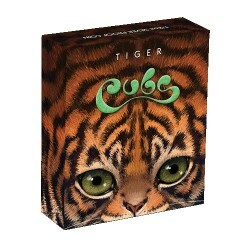 As the first release in an adorable new series – the tiger cubs are sure to impress. 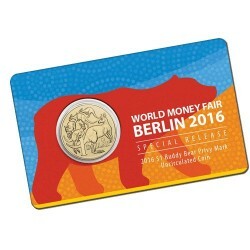 2016 $1 WMF Berlin Buddy Bear Privy Mark Uncirculated Coin in Card. First appearing in Berlin in 2001 and now recognised by the United Nations, Buddy Bear promotes peace and harmony all around the world. 2016 $1 Deadly & Dangerous – Death Adder 1oz Silver Proof Coin. This latest addition to one of the most sought after coin programs. 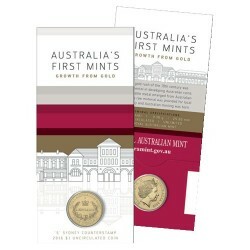 2016 $1 Australia's First Mints 'S' Sydney Counterstamp Uncirculated Coin in Card. The Royal Australian Mint's 2016 gallery press pays tribute to the sovereigns that were minted as a result of Australia's gold rush. 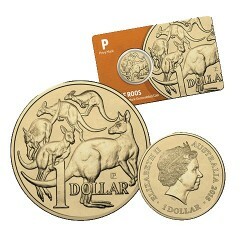 2016 $1 Perth ANDA Show Mob of Roos P Privy Mark Unc Coin in Card. 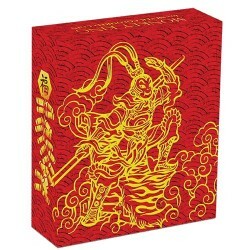 Released at the recent Perth Money Expo this very limited edition P Privymark has been a hot item, we have managed to secure a very limited number of these highly sought after releases. 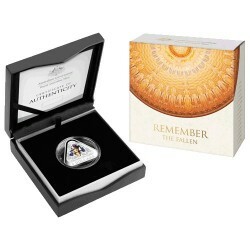 2016 $5 Remember the Fallen Coloured Fine Silver Triangle Proof Coin As we commemorate the centenary of the First World War, we pay tribute to the 60,000 Australians who endured personal hardships, sacrifices and suffering for their country. 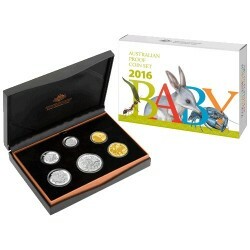 2016 50th Anniversary of Australian Decimal Currency 6 Coin Proof Set. On the 50th Anniversary of Australian decimal currency, the Royal Australian Mint’s annual Six Coin Uncirculated Set is both a memento of 2016 and a poignant reflection on the special place that coins have in Australian history. 2016 Baby Proof Set – Alphabet Coin Collection. From a baby’s adventurous in the morning to its zany, zippy zest at bedtime, these precious memories can be celebrated with the 2016 Proof Coin Baby Set from the Alphabet Coin Collection. 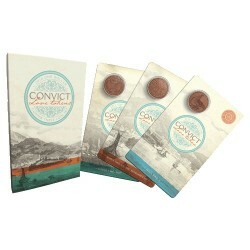 2016 $1 Convict Love Tokens Copper Uncirculated Three-Coin Set. In a tribute to the acts of love and early coin-making feats of our convict ancestors, these specially minted coins honour love tokens. Many transported convicts made these as a final heartfelt link between them and their loved ones, and they often served as treasured mementos.